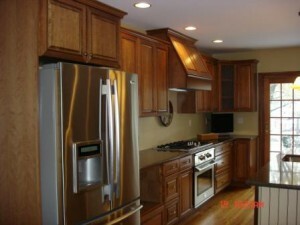 Cabinet refacing offers an easy, affordable solution to outdated cabinets. Whether you are trying to prep your home for sale or want a new look in your kitchen, refacing your kitchen cabinets is a great alternative to complete cabinet removal. Instead of taking down the entire cabinet, the doors, glides, drawer fronts, hinges, knobs and drawers are replaced. The exterior of the cabinet box receives a veneer application. Easily update your kitchen or bath cabinets. Probably the best reason to reface your cabinets is that the end result is similar to that of complete cabinet replacement without the hassle and cost. 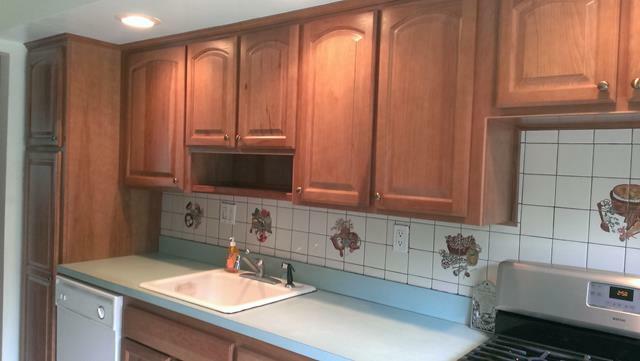 Unless the cabinets are in terrible shape, there is no reason not to reface them. Cabinet refacing costs less money than a full cabinet replacement. On average, refacing is about half the cost of replacement. That extra money can be used for other areas of the remodel such as new appliances or nicer tile or simply make the remodel affordable. Refacing takes only a couple of days at most to complete unlike multiple days for a full replacement. Much like choosing new cabinets, refacing gives homeowners numerous options to choose from. 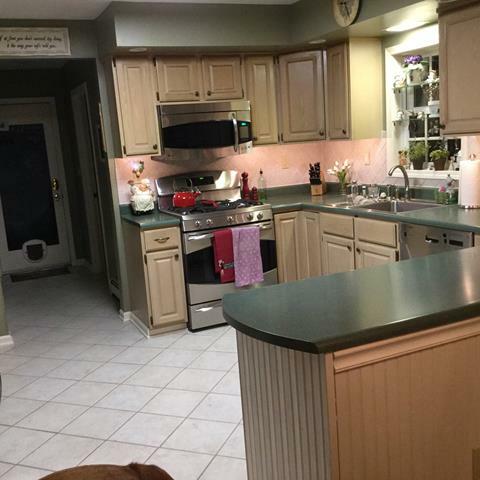 You can change the color, options, style and even alter the grain and look of your existing cabinets. 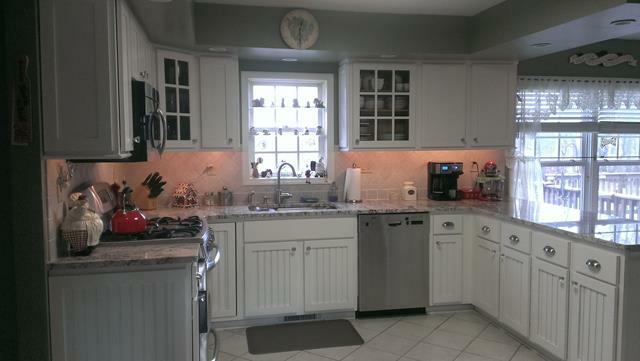 Change the trim, molding, add cabinets or glass doors to alter the look of your kitchen or bath. The cabinets themselves use formaldehyde in their construction which is damaging to the environment. Not to mention the cost of hauling away all that extra material. Refacing wastes less material and undamaged items such as knobs and doors may be recycled or donated. Replacing your cabinets is an expensive, time-consuming task. Cabinet refacing cuts the remodel time significantly and cuts the costs spent upgrading your kitchen or bath. Get the look you want with an environmentally-friendly option that is easier on your wallet. Then sit back and enjoy the beauty of your new kitchen or bathroom. If you have aging parents, then you may be concerned about their safety while they remain in their current home. Just as you have to babyproof a house for the well-being of a child, the same becomes necessary with elderly adults. Learn about the basics of aging in place to keep your loved ones safe as you help them maintain their sense of independence. Having stairs in your home can be a great way to get in a bit of exercise every time you go from one floor to the next, but they can become a hazard for senior citizens with mobility issues. That’s why ranch-style homes that only have a single floor are best. Homes that currently have stairs are made safer with the installation of chair lifts. Speaking of mobility issues, some elderly individuals need a walker, wheelchair, or scooter to get around. To remain fully comfortable and maneuverable in their own homes, aging individuals may need wider doorways that are easier to move through. With aging in place renovations, it’s a good idea to widen doorways to at least thirty-six inches. The floor space for the door should extend to at least four feet on either side. Door handles help reduce the amount of pressure required to open and close doors. Touching back on the use of wheelchairs, walkers, and the like, floors in the homes of aging parents should either be stripped down to hardwood or short-pile carpet that won’t put one at risk of tripping and falling, which can easily lead to an unnecessary injury. Bathrooms can quickly become danger rooms for senior citizens. Bathtubs can turn into slipping and tripping hazards, and toilets without handrails can make it hard for older parents to ease themselves down and pull themselves up. Keep doorways in mind if your mom or dad uses a walker or wheelchair, and consider installing new faucets that are easy to turn on and off. Throughout making residential interior changes for aging in place, involve your parents. By learning what they enjoy and their physical limitations, you’re sure to provide them with a safe, welcome home. Decorative crown molding is charming, elegant and sometimes a selling point for a home. Just its simple addition can transform a plain room into a tasteful, appealing space. There are a wide variety of choices and decorative styles available. The options are limitless. You can take a living room and turn it into a Victorian style sitting room. If you have an idea, sometimes the little details bring it together. Decorative molding can easily highlight different areas of your home. Use pieces that complement the trim around your French doors or your fireplace and pull the design together. Look at your room’s existing features. If you have dark stained wood trim or accents to the living space, you don’t want to buy white plastic for the ceiling. The color of your molding needs to match the rest of the room to add flow and consistency. 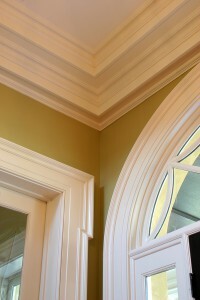 If you don’t want to match your molding to the trim, you can always redo the trim. Maybe your favorite molding style doesn’t match your décor. If you don’t mind the extra work that it takes to match the room to the crown molding, then don’t make sacrifices. While a simple update to the molding will change the room, if you want to go with a full update, then let the molding inspire you. Some décor experts create grid patterns with decorative molding across ceilings. You can extend the molding to your ceiling for a unique wood ceiling. Of course, you want to be careful with the colors you choose. Don’t use darker molding as that will make a room gloomy. Decorative crown molding can completely alter a room for the better. If you want charm and elegance in your home, consider what simply adding new molding can do. Finish carpentry is the installation of decorative wood around windows, doors and baseboards. With the right choices and a contractor on your side, the job is simple and can completely change the look of your home. Here are some of the trim options. These aren’t the only styles and if you can’t find one that suits your personality, you can come up with a style of your own. What you need to keep in mind is that no matter the style that you choose, you want to stay uniform throughout the house. Don’t mix and match styles. Stick with it through the whole house for a more put together look. While in a variety of different styles, finish carpentry comes in a number of sizes. In older homes, particularly Victorian style homes, the trim is larger. For instance, in newer homes, you are looking at needing about 3-inch trim, whereas in a Victorian, you may need 6 inches. When designing older homes, people liked the décor to be larger and more decorative. Consider this when choosing your décor. It will tie the design of the house together better. When it comes to trim options, you also get to choose the finish. This means that you have to decide on the color or stain that you want. If you plan to paint your trim, you don’t have to worry about purchasing the more expensive hard woods. Paint grade trim offers cheaper options. After you make the decisions about what works best for your home, it’s time for the installation. You can make the installation easier by trusting a professional contractor with the finish carpentry. He or she will have all of the tools necessary to complete the job right and on time. A newly remodeled bathroom has much to offer to homeowners, both for personal comfort and for adding value to your house. As with any extensive home project, a bathroom remodel requires proper planning to minimize stress and cost. When preparing for this project, keep the following tips in mind to aid the process and avoid potential pitfalls. Before anything else, decide how much you are willing and able to spend towards the renovation. This will create a defined scope for the project and determine how you will proceed. Don’t be discouraged if your budget is not as high as you’d like; even small changes like new tiling or a replacement shower head can do a lot to improve the bathroom. Consider what you want the bathroom to look like and develop a vision in your mind for your intended design. It can help to do some preliminary window shopping to find potential materials or fixtures. You can also visit showrooms or check out online galleries for ideas; see if a local contractor has a section on their site for past projects completed so you know what they can do. Take the time to create a detailed basis for your design vision. Outline exactly what needs to be changed and, if possible, options for what to use as replacements. You’ll want to get some measurements done so you know what to look for when choosing new installations or replacements. With the sheer breadth of available fixtures, flooring and counter materials, vanities and more, you need to decide what’s most important. Consider and compare quality, durability and maintenance costs, especially for resale. You may want to create a list of pros and cons for every material and fixture you’re considering. 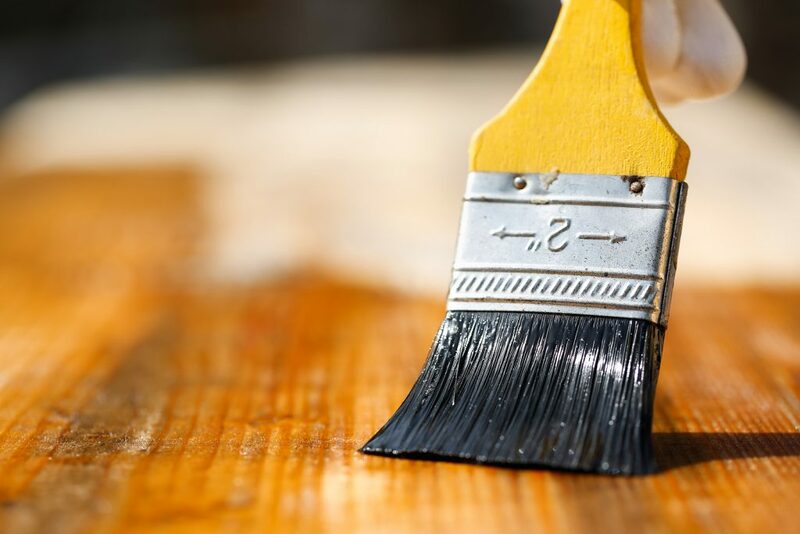 Even if you prefer DIY solutions, it can be quicker and less expensive to find a reputable contractor to aid you in planning, purchasing and installing. 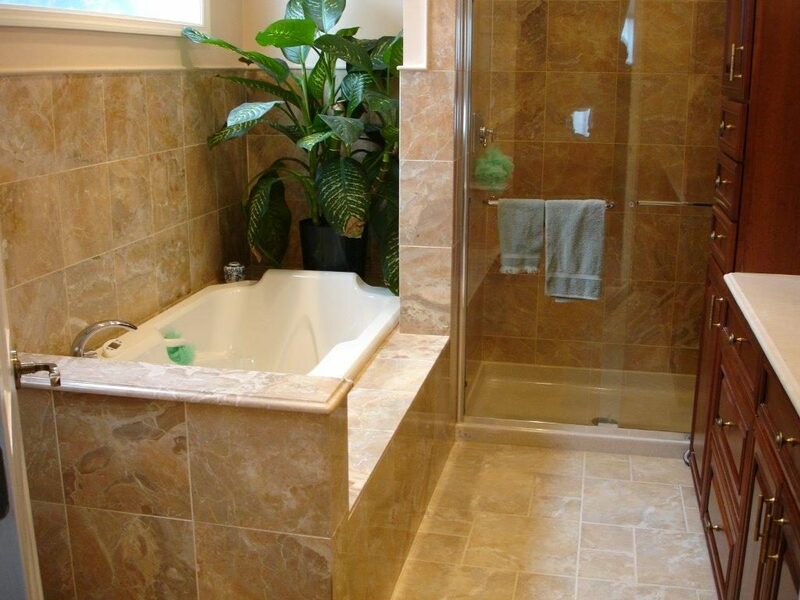 Professionals in bathroom remodeling have experience in all aspects of the process. Look up local contractors and compare their services and reviews from prior clients. 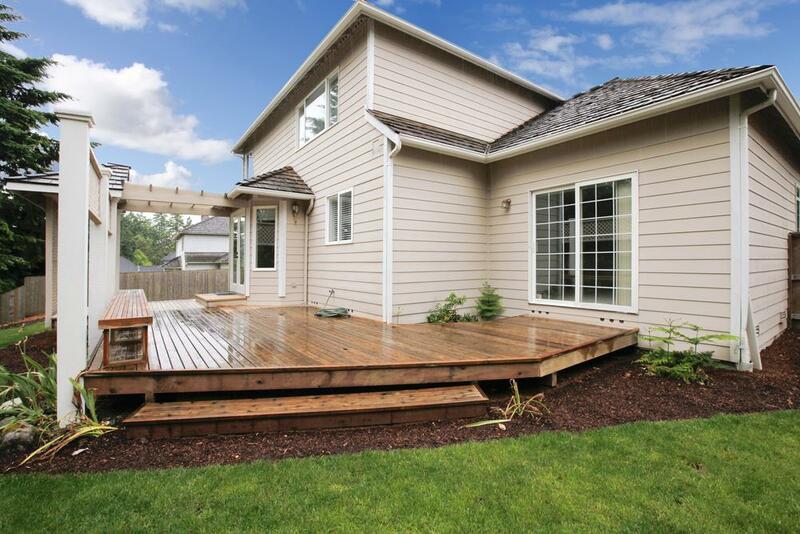 Designing a deck takes a professional, so you should not try tackling this project without doing some research. The time you take to do this helps you prevent future problems. 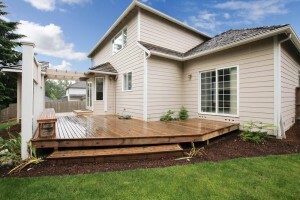 To choose the best deck builder for your needs, here are three things you need to do. Your cabinets might need an upgrade if they are scratched, broken, or simply dull and boring. If you are overwhelmed by the cost of buying new cabinets, consider cabinet refacing, instead. Replacing cabinets might cost over half of your kitchen renovation budget; however, refacing cabinets can be done at an affordable price to you. If you decide on refacing, read on for tips on how to best accomplish the task.